At ICS Learn, I have overall responsibility for delivery, teaching and learning across all the accountancy courses on offer, and my primary objective is to ensure that all our AAT learners have the best possible experience with the best possible outcomes. I am AAT and ACCA qualified. I gained my AAT qualification in 1991 and my ACCA in 1999. Apart from this I have an OU Certificate in Advanced Mathematics, a Certificate in Education (FE Sector) and an Assessor Award. As well as working for ICS Learn full-time, I am also an AAT assessor for the new Advanced Diploma Synoptic Assessment. After leaving full-time education in the 1980s, I worked in finance. The bulk of my accountancy work experience was gained in practice and I was a financial accountant with personal tax specialisation until 2005 when I made a career move into the education sector. 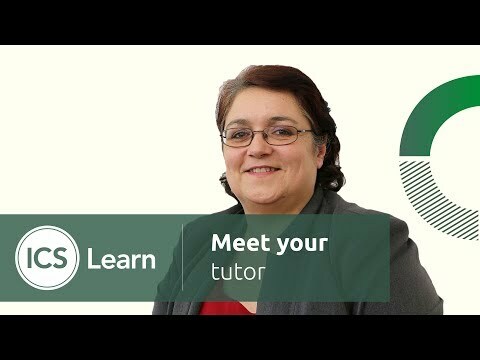 Before joining ICS Learn, I worked as a lecturer at Evesham College of Further Education (now South Worcestershire College) and as a Programme Leader for Accounting and Business at Yorkshire Coast College. Here I was responsible for the management of business and accountancy courses in the college as well as teaching AAT at Levels 3 and 4.